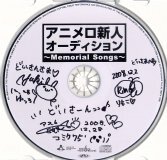 This CD is a compilation CD containing the theme song to the Animelo shinjin audition Internet broadcast program, and solo songs by the members of that program. Mugcup is a group made up of Itou Asuka, Kariya Rimoko, and Wakabayashi Yuki. 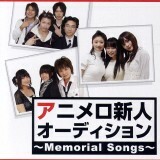 This CD is only available at Gamers and amazon.co.jp. But it was also on sale at Comic Market 75.